This group is for students interested in studying in a new country. Whether you are looking to attend foreign exchange school program or university outside your home country this group is for you. Are there any available scholarships for international students studying in the UK? Hi Shantel - the UK universities provide very little scholarships for international students. There are some but it is difficult to find something that will cover your tuition. I am a current college student getting my Associates in Civil Engineering Technology in the Caribbean. What are my options if I wanted to continue my studies in Europe and gain a Bachelors in Engineering? There are a number of options depending on the languages you speak and price you can pay. There are also a number of English programs across universities in Europe. Spain is an option and generally fees are very low compared to most of other countries. Alternatively, Holland has a number of English programs but the cost will be higher - usually around EUR10,000 per year. Some public and private universities in Germany and Finland now offer programs in English too but not that many. Finally, depending on your financial position you may want to finish Bachelors degree in your home country and try to apply for Masters programs - there are plenty of them in English in Germany, Holland and other countries and it is easier to get grants or scholarships. i want to do btech course, which are the best universities/ colleges for it? Countries of interest? What exactly do you want to study? If you plan to be in Europe, what languages you speak. Could someone please compare the University College Groningen to Unversity College Maastricht? Please compare UCG's interdisciplinary PROJECT Based Learning curriculum to UCM's promotes their PROBLEM Based curriculum. Please speak to the strengths of UCG and UCM in the areas of International / Cultural Studies? Thank you! I didn't study there but have come across a number of people from Maastricht. It's a younger university but very well known and many students end up working for tech and other companies. Law department is also considered very good. Groningen is a more established university and has solid track record in science etc. Both offer plenty of opportunities for graduates. Maastricht is more international and also very close to Germany and Belgium. 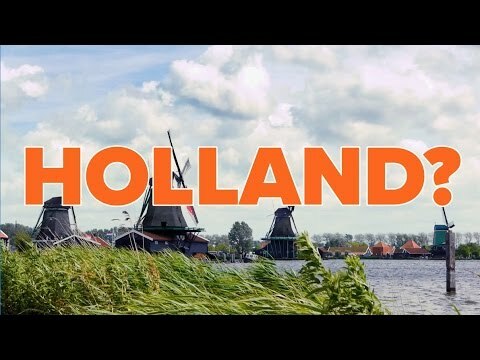 Are you planning to study in Holland? Can someone explain to me the French college system as compared to the American system? Thanks! It's usually 3 year programs and much cheaper than US colleges (many public institutions are basically free). Most of the universities require you to speak French (see university websites for requirements) before you apply. There is a difference between grand ecoles and public institutions but both are part of university system and offer similar opportunities after graduation. It really depends on the university but if you are looking at some top schools like Sciences Po (which also has a number of dual programs) it has English programs as well. For Sciences Po as a non-EU student you would have to pay around EUR10,000 per year. There are lots of options in France and if you speak the language it is definitely an interesting place to go to college while most likely saving a lot of money compared even to US state schools. Application process is relatively simple too. This is a good summary. Just by talking to people who studied in France and the US the systems are very different. The classes are generally harder in France and require you to do a lot of work independently. Hi Maria - the question is where you want to study and how much you can pay for your studies. SAT is mostly relevant for US colleges and not for European universities (although some would look at it). England is always an option but the cost is relatively high for international students. There are a number of countries on the continent which offer undergraduate programs in English including Holland, Germany and Finland - some of these are private but still much cheaper than US or UK universities but there are public where education is free. See some posts below on this. It also depends on what you want to study. If I wanted to study in Europe, what are my options? I can probably get some financial aid in the US but not that much and I understand that is much cheaper to study in Europe while quality is also great. There are a number of options and it is definitely cheaper that the US unless you qualify for scholarships/financial aid. But it also depends on your language skills. There are a number of programs in English in Finland, Germany, Holland etc but they tend to be more expensive that typical state universities. For example, private universities in Germany charge EUR 5-10,000 per year while state universities are pretty much free but these tend to have only a few English programs. Anyone here planning to go to college abroad? Hey! I was wondering if anyone had any recommendations for affordable study abroad programs for high school students? Hi Angela - are you looking for a year abroad program or summer experience? Which countries are you interested in? I am also thinking as an alternative to apply to a few colleges in Europe - what are my options? Derek - we posted this some time ago. England the easiest option but not the cheapest. Holland is another country where many undergrad programs are in English. Germany is a great place to study but most public schools are in German (still there are plenty of options in private colleges). UK universities are used to US applicants and it is much easier for US students to apply. Holland is another European country where you can get a great education in English at a very low cost. Does anyone have any experience with Jacobs University in Bremen Germany? They teach in English. My daughter has this at the top of her college list for next year and I’d like to know more. We have no statistics on how hard it is to get into Jacobs - it is very different from traditional German universities where you have set GPA each year for each major. It should be doable assuming you don't require significant financial aid. In terms of age, most of the German students will slightly older (and probably more mature) than typical American freshman. International students will around the same age. There is less hand holding at German universities (esp public ones) where a student is expected to do most of the work on their own. In the UK mid-range, check out Royal Holloway, Brunel, University of East Anglia - they will be more expensive that German colleges but definitely cheaper than most of the US private schools. So what if one needs significant financial aid. Is there a better option? One can apply for financial aid at a university like Jacobs especially since they cater to US students but we have no idea of how much they could offer - public universities in Germany are funded by the state while Jacobs mainly relies on donations and tuition. Alternatives are finding cheaper schools and learning a language / go for a public university in Germany. And of course you should have some options with your state schools in the US. I am a 17 years old high school student living in Lebanon. I want to study Mechatronics in Germany, but first, I want to spend two to four weeks in summer in Germany in a center/university where I can learn German and live amongst students with the same age and the same goal. I hope that you will be able to help me find one. Thank you in advance! I am thinking of doing a preparatory course with an official representative of FH Aachen in Lebanon. It it a good idea ? How about the university ? Does it have a good reputation ? I went to FH Aachen for one semester before moving to London. Great place to study but it is harder than average UK and US colleges. It has a good reputation in German speaking countries, although RWTH Aachen (kind of like sister university which is more theoretical in nature) is better known. Yes I will transfer to RWTH eventually. US universities have long been considered the best in the world but it is becoming prohibitively expensive. According to the College Board, the cost of tuition and fees in the US for the 2016–2017 school year ranged between $10,000-55,000 with top universities consistently charging students over $50,000 per year and $10,000-15,000 per year for room & board. So what are the options? For Americans, England is the obvious first choice. We speak the same language and it is home to the oldest and most familiar non-US colleges – Oxford and Cambridge. If you’re looking to save money, the costs are lower than in the US but are expensive compared to other countries in Europe. One advantage universities in the United Kingdom have is that the undergraduate programs typically take only 3 years to complete. In Netherlands, most of public and private universities offer a number of English-taught programs (Amsterdam, Maastricht and Leiden to name a few). The cost is approximately $2,500 per year for students from European Union countries and $10,000 for all other international students. In a number of other European countries attending public universities is free, even if you are not a citizen of a EU country. While most of the universities in Continental Europe have instruction in the local language, a number of them now also offer certain undergraduate programs in English as well. In Germany for example, which has a number of excellent engineering programs (TU Munich, Heidelberg and RWTH Aachen), all of the public universities are free (administration fees between $300-500) with average cost of living of around $600-700 per month. Switzerland, while has higher cost of living, has two of best universities in the world (ETH Zurich, Albert Einstein’s alma mater, and Ecole Polytechnique in Lausanne) with tuition just under $1,500 per year. France and Spain are two other options where cost of attending public university is close to zero even for international students but you do need to speak the language as instruction is mainly conducted in local language. In northern Europe, Iceland and Finland only charge minimal administration fees and have a number of English-taught programs. You should consider evaluating colleges abroad if saving thousands of dollars a year, exploring new cultures, and working abroad after completion of university are all high on your list of college experiences. You will have an advantage if you speak a local language or have some relation to the country where you plan to study. But even if you don’t, you could always start learning a language a couple of years before you apply and do a family trip to visit some of these places which offer top quality education and have great history and culture.